Rigid sun tunnels deliver a straight shaft of light for when the ceiling is placed directly under the exterior window. 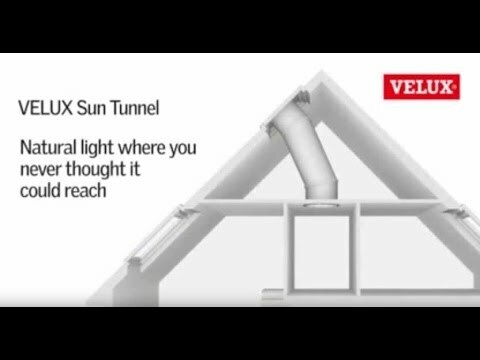 VELUX recommend the rigid sun tunnel for lengths from 0.9m to 6m between the roof and ceiling. We can deliver the VELUX TWR 0K14 2010 14" Rigid Sun Tunnel For Tile Roof next day on our own vehicles, enter your postcode to see if you are in our servicable area.